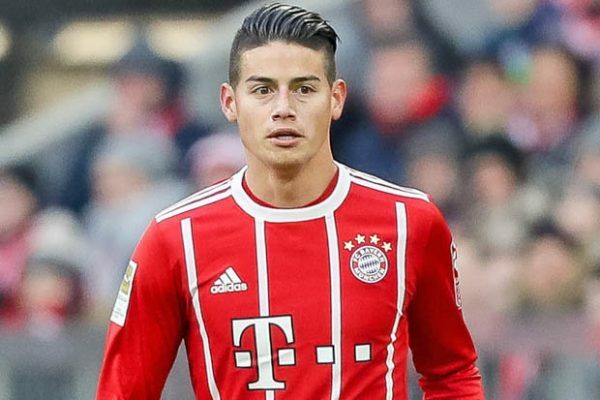 Real Madrid loanee and current Bayern Munich player James Rodriguez is not interested in a switch to Arsenal in the summer transfer market, according to the laetst reports in Colombia. The 27-year-old attacking midfielder is currently in his second campaign on loan at die Roten but is struggling to secure a systematic role in the team. Bayern Munich do have the option to land Rodriguez at the end of his loan for £36.8 million (€42 million) but it’s looking more and more likely that midfielder will return to Los Blancos after the season is over. The Gunners reportedly made an approach to Real Madrid during the January transfer market about a potential loan deal for James for the remainder of the season. And it appears that the north London side are set to miss out on South American playmaker once again if Unai Emery’s men make a fresh approach in the summer market. According to Colombian news outlet Marca Colombia, James favours a return to Real Madrid after his time at Bayern Munich is up and in spite of interest from the London-based outfit, the midfielder’s preference is not a move to the Premier League and especially to Arsenal. Arsenal face another tough transfer window this summer window as they reportedly have just a £45 million budget to work with. In January, Arsenal were restricted in the deals they could conclude as they were able to pay high transfer sums, which meant that the club’s management had to arrange loan transfers with an option to buy.